The Keyboard Viewer reveals what you can type on the currently selected keyboard layout. In the old system, I could click on the [input palette] icon in the menu bar and see all the characters within any font that I chose, then double-click it to add it to my document. 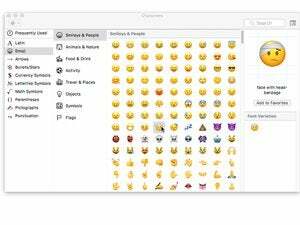 In El Capitan, that icon produces nothing but emoji and symbols. Where can I find all the characters within a font so I can do what I used to do? The Keyboard Viewer replaced the previous option, Key Caps, back in 2004, and has evolved a bit since then. You should see it in the dropdown Input Palette menu item as Show Keyboard Viewer just below Show Emoji & Symbols. 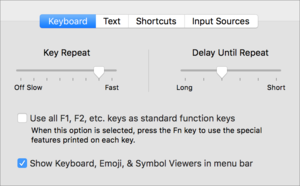 The palette menu appears when you have Show Keyboard, Emoji, & Symbol Viewers in Menu Bar checked in the Keyboard system preference pane. 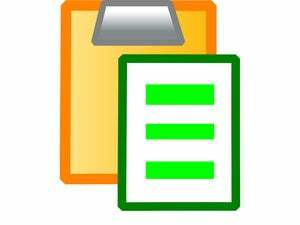 Make sure the menu bar box is checked. 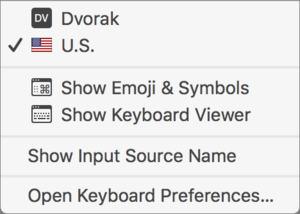 If Emoji & Symbols appears in the dropdown menu and not Keyboard Viewer, something’s wrong—I’d try toggling the Keyboard pane’s checkbox off and on to see if that helps. You can also toggle this state via the Input Sources view in the Keyboard pane by checking and unchecking Show Input Menu in Menu Bar. OS X used to let you toggle some of these options separately, but now they’re in lockstep. You can also use the Input Sources view to add additional keyboard layouts and types, like Dvorak. 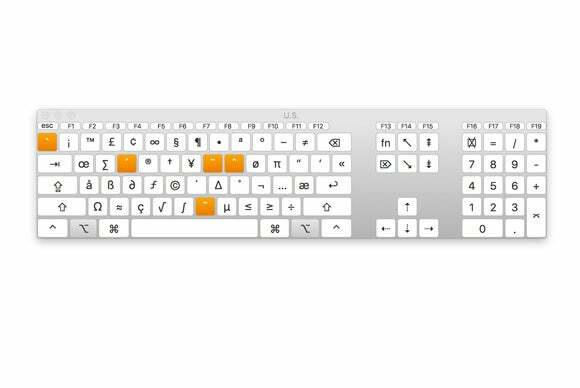 You can add additional keyboard layouts, like Dvorak. However, once you get the Keyboard Viewer back, I’m sorry to tell you that it can’t be used to switch among fonts, only to see what various key combinations produce. Several years ago, Apple snipped off a limited remaining font selection option, and now it’s just the default keyboard with the currently selected alphabet. If you’d like to preview characters in various fonts, including finding out where special characters can be accessed in more complicated type mappings, you can turn to PopChar, software that’s been maintained for decades now, and is up to date for El Capitan. The $30 price tag has to do with the limited, professional audience for such a product, but it’s invaluable if you’re working with fonts routinely.